2. You can find the central pipes for the whole building located next to the toilet in the bathroom. There is a white door you can open to find the pipes. 4. 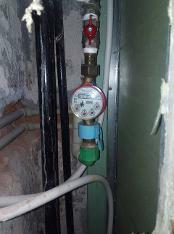 The next step is to turn on the water coming from the water heater in your apartment. 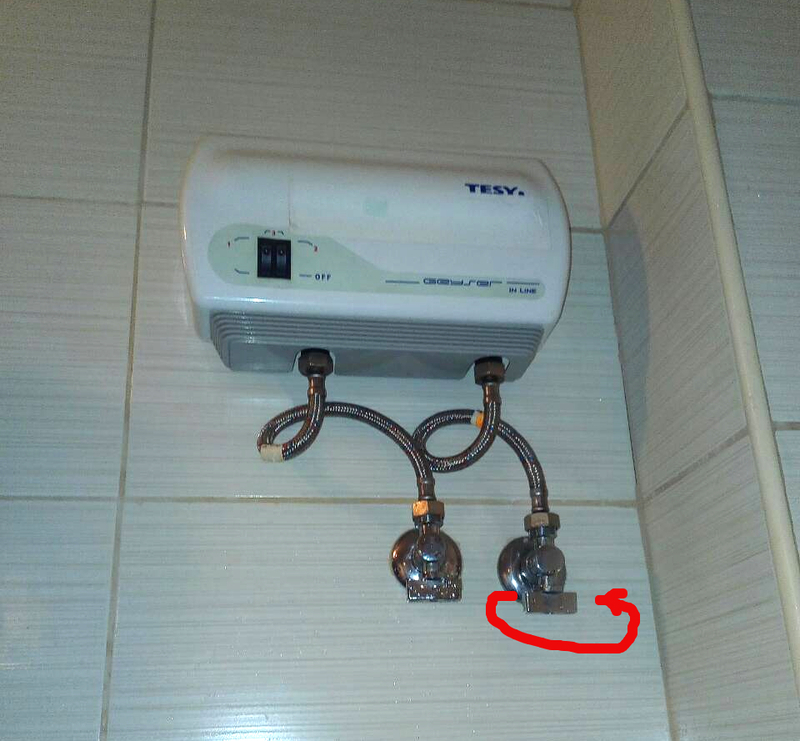 The water heater is located in the bathroom above the toilet and looks like the one on the picture. 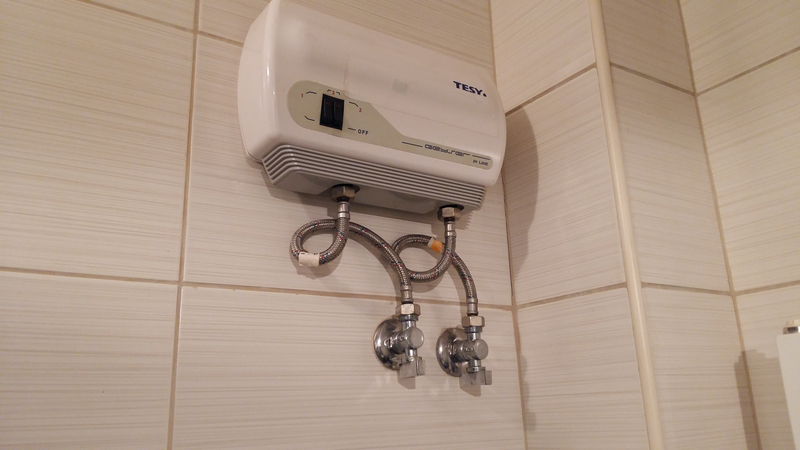 It is an instant water heater which means it will not need time to heat the water. Please turn both knobs as shown on the picture below. Both knobs should be positioned parallel to the small pipes. 5. 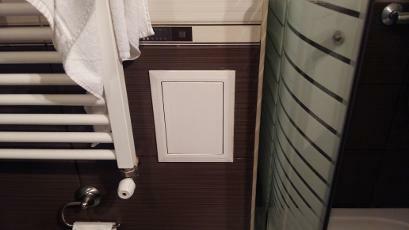 Finally you need to turn on the switch on the water heater itself. If you have done everything correctly you will have hot water. There is also an indicator light on the boiler that will turn on when you use the hot water. If you have a problem with the Internet or TV you can call the provider at 0700 43 700 - they have service in English and usually it is better to call yourself from the apartment as they need to check the router lights. They will find the contract for your address by number 12700036337 and Lyuben Karavelov 67. The router is usually located close to the TV.